Exclusive! Daisy, Daisy, give me your answer do.... Crafted of vibrant life-like polyester daisies and greenery, there's no better way to welcome back the season. 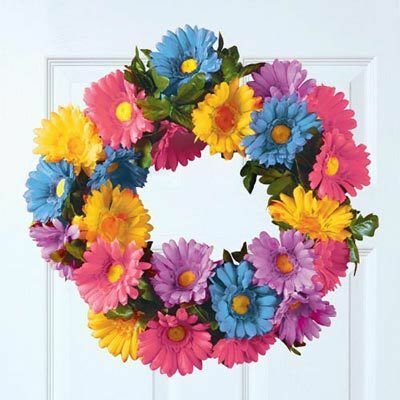 Our Pastel Daisy Wreath has a loop hanger on back. Imported. 14" dia. Hurry! Quantities are limited!